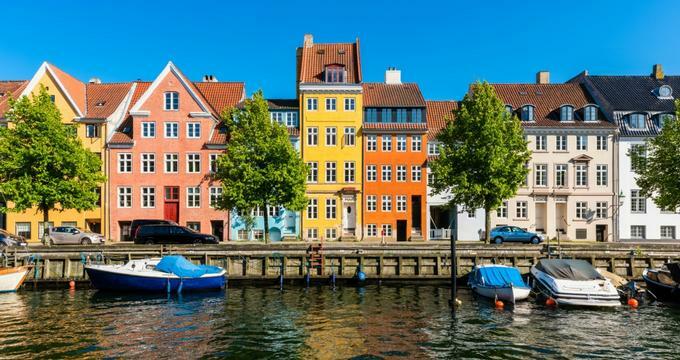 Frequently ranked among the most livable and happiest countries in the world, Denmark is a place for those who desire to bask in Old World charm and soak in understated yet spectacular nature. The cities are mostly compact and walkable, and many have well-preserved medieval buildings and features. The country is known for its innovative design, which is evident in its modern cities, where you can see these design features side by side with historical elements. The arts are popular here, so you will find plenty of opportunities to indulge your creative side as well as numerous opportunities to enjoy delicious restaurants, quality entertainment, and simple, beautiful nature. Funen, known as Fyn in Danish, is Denmark's third-largest island, spanning an area of nearly 1,200 miles. 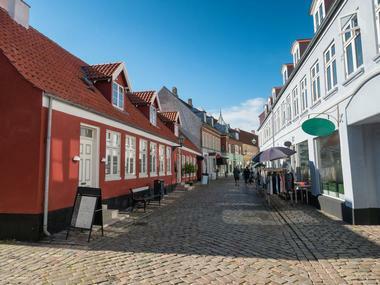 The island is accessible from the Danish mainland via the Great Belt Bridge and is best known as the home of charming Danish metropolis Odense, the birthplace and home of author Hans Christian Andersen. Visitors to Odense can enjoy the city's beautiful art museums, award-winning zoo, and acclaimed annual film festival, with many quaint restaurants and cafes located near the city's beachfront. 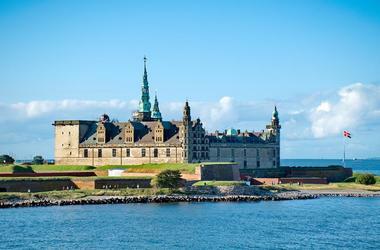 Other attractions include Egeskov Castle, one of the best-preserved Renaissance-era castles in Europe, and attractions related to the nation's Viking past, including the Viking Museum, which preserves the only known historic Viking burial ship in the world. 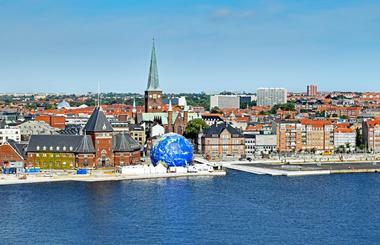 A visit to Aarhus will reveal a city with both modern, cosmopolitan aspects and the charm of a small village. The city is Denmark's second largest and is located on the Jutland peninsula. The town has a charming city center with a number of quaint restaurants and wonderful pubs to try along with romantic corners to tuck yourself into with someone special. The city is well organized and clean, making getting around quite easy on bike or on foot. You will find many interesting examples of European architecture throughout the city, such as including the Concert Hall. Other attractions include the art museum called ARoS, the Women's Museum, the Von Frue Kirke, and the Tivoli Friheden amusement park. Aalborg lies in Denmark's Jutland region and is the country's fourth largest city. 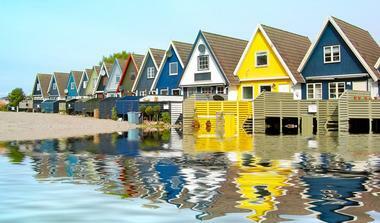 The city is known for its vibrant waterfront area on the Limfjord. The city center is easily walkable and there is reliable public transportation if you wish to get further afield. Several popular attractions include Aalborg Castle, the Aalborg Akvavit distillery and the KUNSTEN Modern Museum of Art. You can also visit a unique ancient Viking graveyard. Families who visit will want to check out the small but enjoyable Aalborg Zoo, which has elephants, big cats, giraffes and the like. There are many beautiful natural sites in the area surrounding Aalborg, but you will have to arrange for a car to visit them. 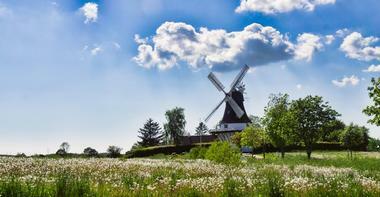 Billund is a city in western Denmark's Jutland region. The city sits in the center of the region, so it is an easy base for exploring Jutland and has roads heading in many directions. One of the biggest attractions is Legoland Billund, which is actually the most frequently visited attraction in the country outside of Copenhagen. There are more than 50 rides and attractions that are mostly designed for kids under age 15. There is also Miniland, which features famous buildings from around the world that are made from more than 50 million Lego bricks. There are occasionally tours of the Lego factory, which include a behind the scenes look at the way Lego is made as well as access to the park. 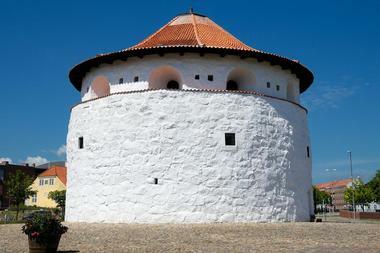 Bornholm is an island in the Baltic Sea off the south coast of Sweden with a cosmopolitan and isolated feel to it. Even though it is Danish owned, it is closer to Poland, Germany, and Sweden than mainland Denmark. 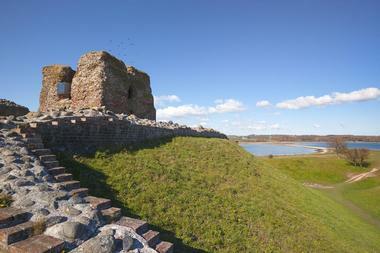 The north part of the island has some famous castle ruins from the medieval fortress Hammershus, which was built in the 14th century. The south side has sandy beaches, which are the closest you will find to a Mediterranean-like beach in the Baltic Sea. The island is the sunniest part of the country and is a popular vacation spot for Europeans. The island is well known for its handicrafts and nice arts, its beautiful natural scenery, and its smoked herring. Ebeltoft is an old port town on the country's eastern coast. The city is relatively new to the tourist circuit, but today people come from all over to see the city's restored 1860 battle frigate named Jylland and a tiny town hall from the late 1700s, which has been converted into a museum. The frigate is the largest wooden ship on the planet and is kept in a large marine center that is dedicated to restoring and preserving ships. The ship was once a commissioned battleship of the Royal Danish Navy and was also used to carry passengers from Denmark to the Danish West Indies. Today, it rests on a concrete foundation alongside other historic ships. 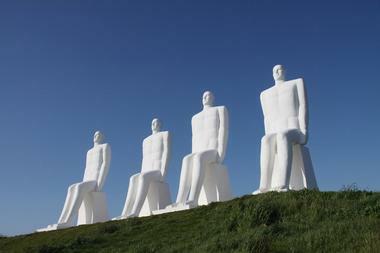 Esbjerg is a small port town on the western side of the Jutland peninsula. At one point in history, the small city was the biggest fishing harbor in the country, and that legacy has not died off today as fishing is still a major part of the town's economy and lifestyle. Many people pass through the town on their way to Legoland, which is about an hour away. In the town itself, you will find a shopping area near the harbor. The center is mostly walkable, so it's easy to see it all. Popular attractions include the Fisheries and Maritime Museum, which is the largest museum of its kind in Denmark and contains exhibits related to fishing and maritime life as well as Denmark's coastal habitats. 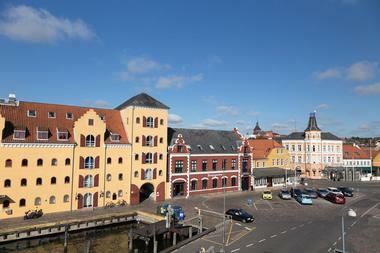 Frederikshavn is a city in North Jutland known to tourists as a ferry port with routes leaving for Sweden and Norway. The city is also a fishing town, and thus plays a huge role in the local economy. Due to the ferry terminal, many tourists pass through on their way to somewhere else; however, there are a few interesting sights to see if you decide to stick around. Visit the Bangsbo Museum to learn about the Danish Resistance during the second world war as well as the sailing history in the region. You'll also find an old fort with a museum and the Cloos Tower, which is an observation tower with amazing views of the surrounding area. 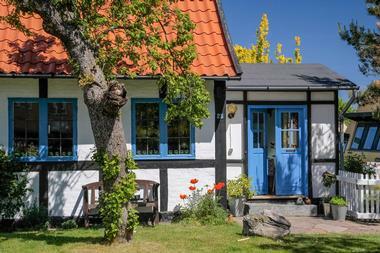 Funen is an easy-going island best known as the birthplace of renowned author Hans Christian Anderson. The island is beautiful with lush plant life and sandy beaches. Even though it is an island, it is quite easy to get there by car as there is a large European highway that transects the island and passenger trains also stop here. The former residences of both H. C. Anderson and composer Carl Nielsen have been converted into museums about their lives. There are also a few small fishing villages that you can visit as well as a park known as Den Fynske Landsby, which features historical homes from all over the island that have been reconstructed for tourists to see. Hillerod is a city to the north of Copenhagen that is most noted for Frederiksborg Castle, which dates back to the 17th century. The castle grounds are spread across three small islands and feature stunning gardens representative of the baroque style. The Museum of National History occupies the castle and features exhibits that cover the gamut of 400 years of the country's history. You'll find artwork, furnishings, and other items from a range of different times in Hillerod's history. The Hillerod Town Museum has a nice collection of old printing presses as well as models of the streets from the 19th century. If you like to get out into nature, visit Aresso, which has a lake where you can kayak, or the Grib Forest, which has several beautiful trails. Hirtshals is a seaside port town on Vendsyssel Island. As the sea plays such a huge role in life in the town and on the island, many of the attractions here will revolve around the seashore or maritime culture. 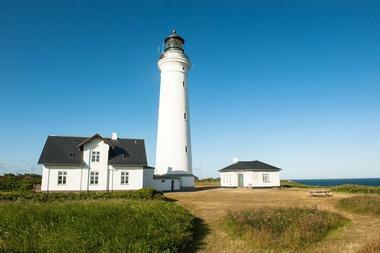 The Hirtshals Lighthouse is a popular attraction. It is a working lighthouse that was constructed in 1862 on an elevated mound of earth, offering stunning views of the surrounding scenery and the ocean. The Nordsoen Oceanarium is also a major tourist draw. It is one of the largest on the European continent and includes a huge aquarium tank that highlights marine life from the North Sea as well as other smaller tanks and a popular seal exhibit. Kolding is a town on the coast in southern Denmark. The town is fairly small, so getting around on foot is quite easy as is hailing buses to locations on the outskirts of town. Many of the main sites are right in the center though, including Koldinghus, the Church of St. Nicholas, and Geografisk Have. Therefore, most tourists don't do much traveling at all once they've made it here. The Koldinghus is one of the most popular attractions. 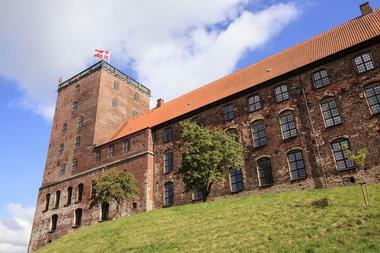 It is a Danish castle dating back to the 13th century, which has today been restored for use as a museum. The Church of St. Nicholas is one of the oldest churches in the country and is certainly worth a stop as well. Mon is a small island south of Zealand that is famous for its white chalk cliffs. The striking white color is the result of the shells of tiny plants and animals coming to rest on the cliffs, which were once part of the seabed. At points the cliffs soar up to 330 feet in height. Many visitors like to hunt for fossils here. The Liselund Castle is another popular attraction. It is a beautiful castle complex consisting of several small castles set in gorgeous gardens. Guided tours are available, and the eastern side offers nice views of the cliffs. 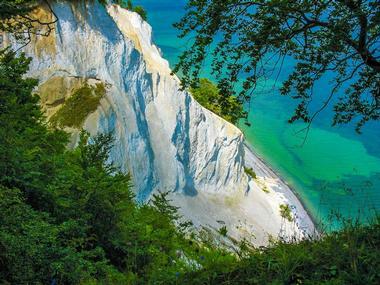 Other attractions include the historic Elmelunde Church and a modern, family-friendly art museum called GeoCenter Mons Klint. Odense is the largest city on the island of Funen and the third largest in Denmark. The city is often passed over by tourists in favor of Copenhagen and Aarhus, however, it has much to offer in its own right, such as a well-appointed zoo, a popular film festival, and wonderful museums. One of the main attractions in the city is the home of world-famous author, Hans Christian Anderson. The city has even opened a new zoo, which you can easily reach from the city center. At the end of the day there are a number of restaurants and tasty cafes you can refuel after all that exploring. Ribe is Denmark's oldest town, and although it is quite small it is notable because of how well preserved many of the medieval buildings and features are. You can easily explore on foot, and that is the best way to experience the historic town full of cobblestone streets, cozy cafes, and half-timbered houses. 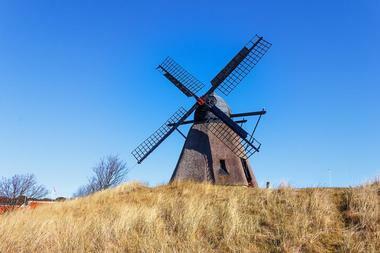 Attractions include the Ribe Cathedral, which has beautiful views from the top of the tower, the Museet Ribes Vikinger, which a museum is dedicated to the Viking Era, and the Wadden Sea Centre just outside of Ribe. 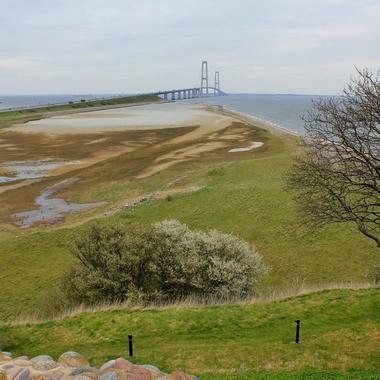 The city is also the gateway to Wadden Sea National Park and you can certainly take a day trip there to what is Denmark's largest national park and a UNESCO World Heritage Site. Romo is the southernmost Danish island in the Wadden Sea. 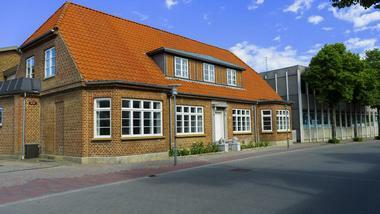 You can access the island by road from the mainland of Denmark and by ferry from the nearby German island of Sylt. 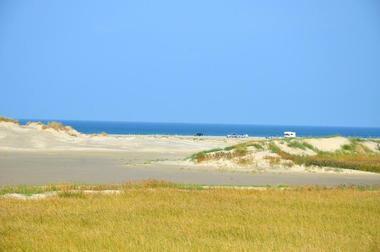 People come here mostly to enjoy the stunning natural landscape of the island, which includes wide, spacious beaches, expanses of heather, and the beautiful Wadden Sea. Romo's nudist beaches are also a strong draw for many visitors, and the beach here is actually the largest sand beach in all of Northern Europe. There's plenty of room to drive on the beach and kite-buggying is also a popular activity. Other attractions include St. Clement's Church and the Kommandorgard Museum, which has artifacts related to the whaling industry. 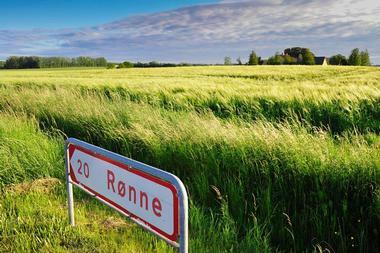 Ronne is the largest town on Bornholm island. The island sits in the Baltic Sea and has been influenced by many of its neighbors. Therefore, as you walk the cobblestone streets, you will see touches of German, Swedish, and Polish culture in addition to that of Denmark. 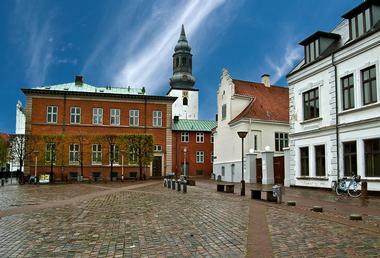 There are many historic houses and other buildings located throughout the town, with an especially rich concentration of historical architecture along the Storegade and Laksegade streets. The Ronne Lighthouse is a decommissioned light that sits at the waterfront and is popular with visitors, as is the St. Nicholas Church located nearby. Nearby you will also find a military history museum called the Ronne Defence Museum, which is located inside a citadel dating from 1744. Roskilde is an ancient city that was founded during Denmark's Viking age. There are several interesting historical sites around town, not the least of which are the Roskilde Cathedral and the Viking Museum. The Viking Ship Museum has a number of original Viking ships in its collection as well as a working shipyard. The cathedral is a UNESCO World Heritage Site that is notable as the site where the Danish royalty was buried. Other attractions in and around Roskilde include Roskilde Mini Town, the Museum of Tools, Boserup Forest and the Roskilde Palace. The city is also well known among music fans as it hosts the popular annual rock festival, Roskilde Festival. Silkeborg is a city in central Denmark surrounded by dense forests and located within easy reach of a large number of lakes. The city was founded around the Drewsen og Sonner paper mill, which was strategically placed here on the river in order to harness its energy as well as use it for transportation and as a water source for the plant. Today, there is a paper museum in town with exhibits related to the paper milling industry. Families will enjoy the AQUA freshwater aquarium, which has large tanks with a number of fish species as well as birds and otters. 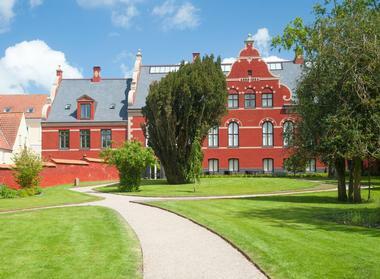 Other attractions include taking a boat ride on the oldest working paddle steamboat in the world, the Hjejlen, and visiting the Silkeborg Art Museum as well as the Silkeborg Museum, which sits in the city's oldest building. Skagen is the northernmost town in Denmark. It is the country's main fishing port and has a well-developed harbor area. The city is quite popular with tourists and attracts many visitors each year. The harbor is surrounded with different restaurants, where you will often see groups tourists milling about in the summer. The city is surrounded by white sand beaches, which are popular with locals and visitors alike. While in the area, you'll certainly want to head to Grenen, which is the northernmost point in the country and the point where the North Sea and the Baltic Sea meet. Other attractions include the Bolcheriet candy factory, the Buried Church, the Grenen Kunstmuseum, and the Skagen Lighthouse. Svendborg is a town on Funen island in the south-central part of the country. One of the most popular destinations in the city is the Naturama, which is a natural history museum that displays a large number of stuffed animals ranging from bears to birds and everything in between in an innovative format. 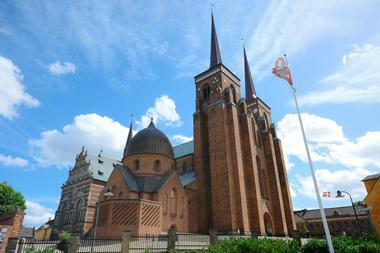 One of the major landmarks is the Vor Frue Kirke church, which is a restored 13th century cathedral. The Anne Hvide's House is one of the oldest homes in the city and is used for seasonal exhibitions. 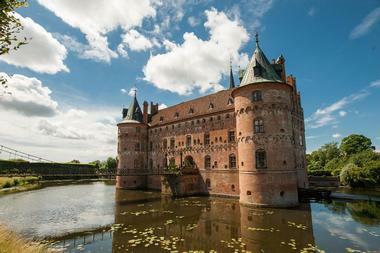 Other attractions in the area include Europe's best-preserved Renaissance water castle, called Egeskov, as well as other historic homes and castles scattered throughout the surrounding countryside. 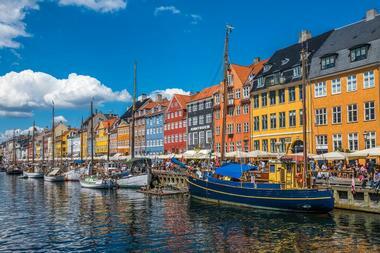 Zealand is a large island that contains Denmark's capital city of Copenhagen as well as the city of Roskilde. The island's northern, southern, and western coasts are characterized by small villages and towns that are popular tourist destinations with sandy beaches in abundance. The south is notable for the impressive Mon and Stevns cliffs, which offer beautiful views of the Baltic Sea. You could have an amazing trip to Denmark and never leave Zealand. 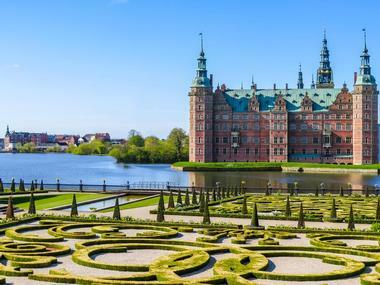 From the urban area surrounding Copenhagen to the inspiration for Shakespeare's Hamlet to the castle in the medieval town of Elsinore and other well-preserved cathedrals, manors, castles, and more, there's plenty to explore here. Amager is a district of central Copenhagen that is best-known for being the location of Copenhagen Airport. The district occupies an island located just southwest of the central part of the city and, in addition to the airport, the island is also home to a small fishing village called Drager. The district has long been viewed as a backwater, blue-collar part of the city but in recent years it has undergone rapid development, leading to some interesting contrasts. Here, there are ultramodern areas such as Ørestad that sit side by side with the Kalvebod Fælled wetlands and the fishing village. The old city center is well preserved and features cobblestone streets, picturesque dwellings, and other charming features.